After a trip to the future and a quick jaunt to the past, it's now time for Doctor Who to do the other thing that it's managed so well at in the past - good old fashioned present day horror. The fourth episode in series 10 of the modern era is Knock Knock - written by series newcomer Mike Bartlett and guest starring the legendary David Suchet, perhaps most famously known for his role as Hercule Poirot in Agatha Christie's Poirot. Following the episode's original airing a special "surround sound" edition was also released by the BBC, giving the viewer even more immersion into it's creaky wooden house setting. 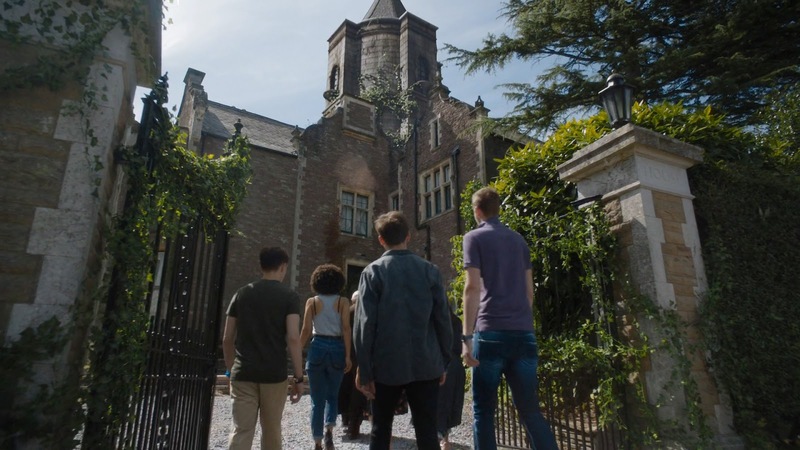 Back home after her first few adventures with the Doctor, Bill is now house-hunting with her friends Shireen, Pavel, Harry, Felicity and Paul. 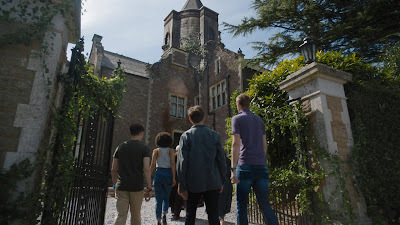 After not having much luck at the usual student lettings, an elderly mansion offers them an old mansion at a surprisingly low cost - with the only rule that they never enter the building's tower. The Doctor, after helping Bill move in, is immediately suspicious of the house despite Bill's protests that it's just a case of an "old house and a dodgy landlord". 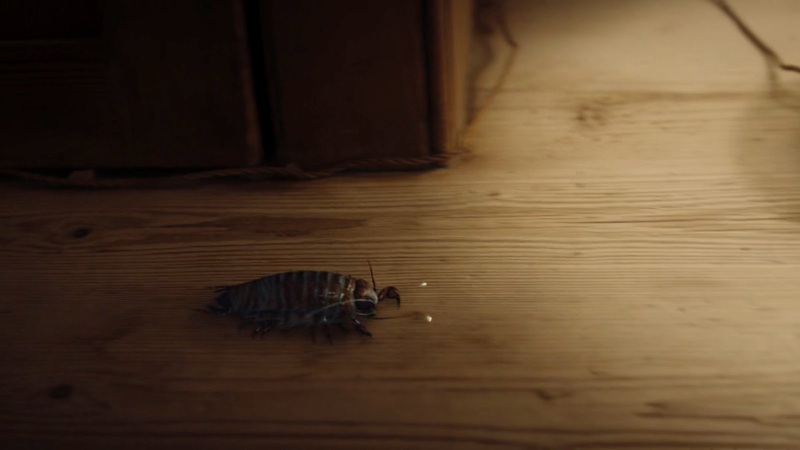 But as the wooden house begins to creak more and Bill's friends start to disappear one by one, it becomes all to clear that something is wrong and the landlord has lured the students in for a far more sinister purpose. 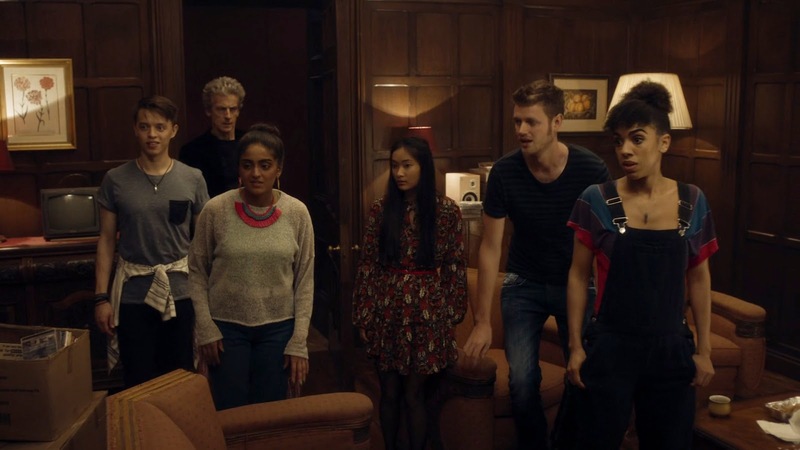 After several episodes of the Doctor and Bill essentially alone to get properly acquainted to each other, Knock Knock is the first episode of the series to drop them back in to an adventure featuring a supporting cast. The end result is a basic horror set up where each of Bill's friends are picked off one by one, eventually leaving only her and the Doctor to fix things. While none of Bill's new housemates are particularly bad characters they aren't especially memorable either, which again plays into the genre conventions and how these aren't characters to get especially attached to. The dim lighting, atmospheric setting and wonderful sound work (especially in the surround sound edition) isn't the rest there is to it either - some moments, such as the interrupted fate of Pavel, are particularly gruesome for Doctor Who standards. 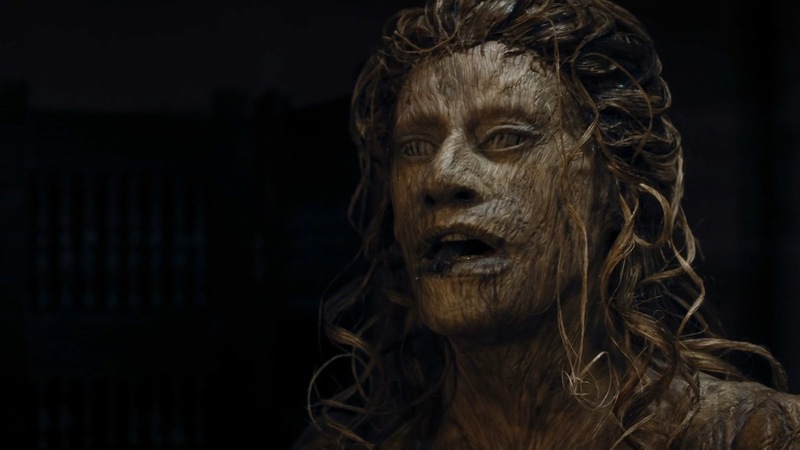 Plus, if you aren't a fan of bugs then the swarm of Dryads scuttling out of the wood is sure to provide a healthy squick factor even if they are mostly CGI. 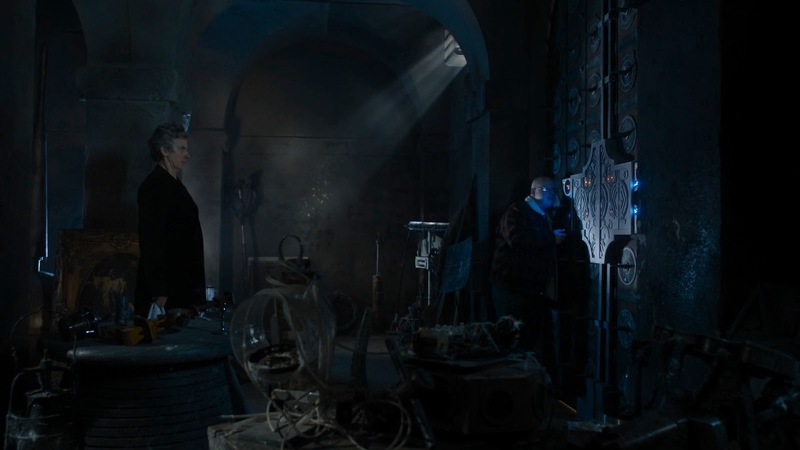 A larger cast also means less alone time for the Doctor and Bill, with the two separating off for the majority of the episode. 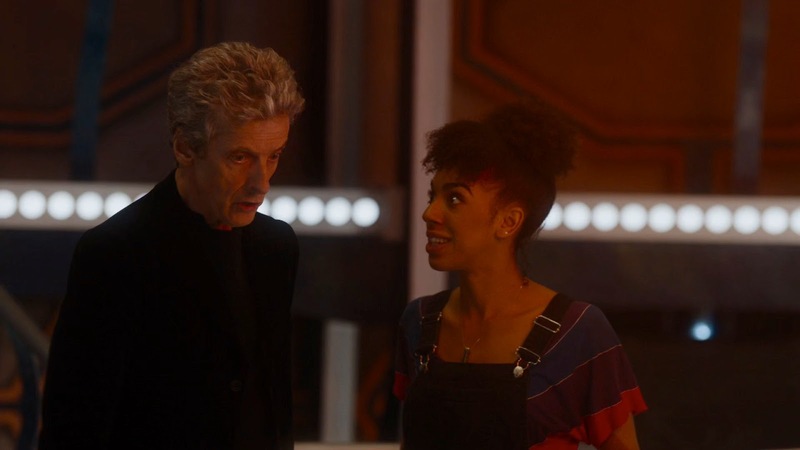 It's a new experience to see Bill out on her own in this kind of situation, with her asserting her independence as she tries to reassure the Doctor that this is one part of his life he may not necessarily be involved in. Likewise seeing the Doctor try to be "down with the kids" is a joy, cementing that the best representation of the 12th Doctor is that of some grandfather rocker who deep down just wants to one of the cool guys. 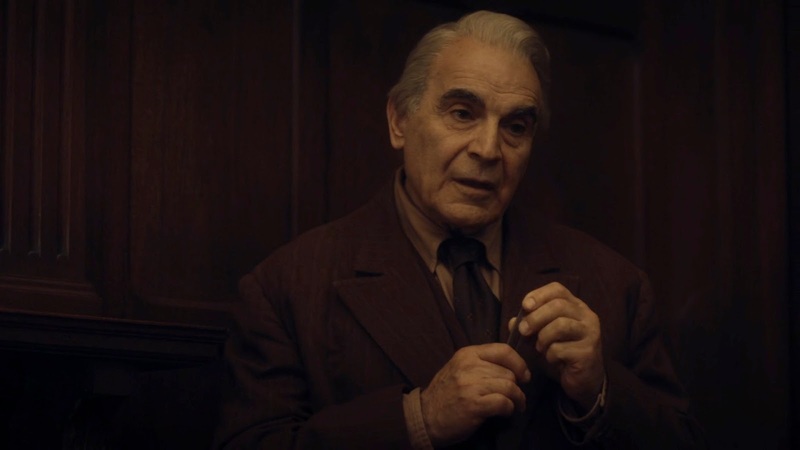 However the episode itself belonged to Suchet, who not only puts in a fantastically creepy performance as the Landlord but is then flips it completely around as the emotional twist of the episode is revealed. 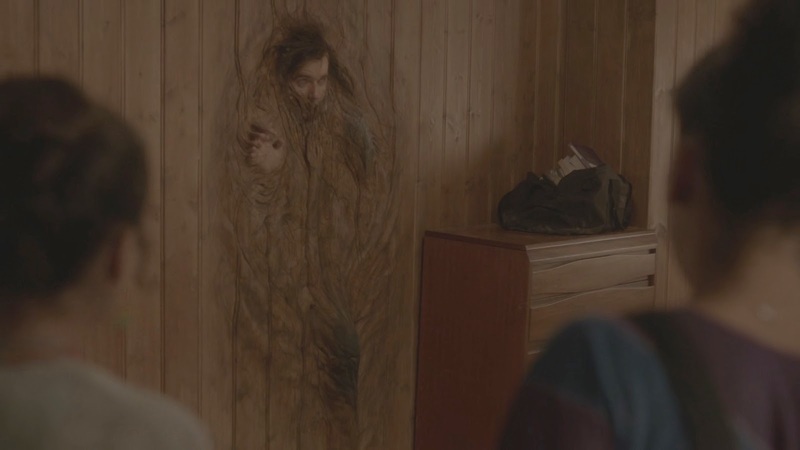 There was certainly a lot to praise about Knock Knock, but just like previous episodes the story did lack some minor detailing that together would have made it much stronger as a whole. The explanation for the Landlord's control over the Dryads was tenuous at best, and the instant resurrection of Bill's friends did seem a bit too convenient. Meanwhile the Doctor's nonchalant attitude to the Bill and co losing their new home ("Right you lot, back to the estate agent. Better luck next time.") 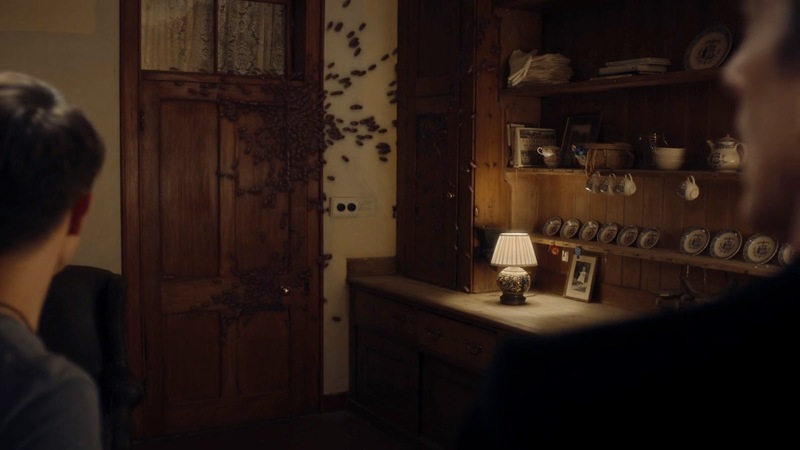 is hilarious, him just leaving a swarm of space insects with that sort of power to just go about their business is a tad irresponsible. Rounding things off here once again are the series-wide trends spotted in the episode, and once again it's a case of an alien species (and in this case, the man as well) being responsible but not being inherently evil. While the landlord undoubtedly went about things the wrong way and the episode isn't hesitant to highlight that, anyone who has experienced similar trauma can certainly resonate with both the emotions and motivations behind his actions. If this truly is a series-wide theme (and after four episodes in a row, it definitely shouldn't be discounted), then it'll be interesting to see how the episodes featuring proper monsters like the Cybermen and Ice Warriors are handled - especially since both classic monsters have the scope for such portrayals. This week's vault-watch also confirmed that it's a someone in there, and it's someone the Doctor is happy to sit and eat takeaway with while regaling them with stories about kids getting swallowed up by houses. At this point there shouldn't be a doubt in anyone's minds that all signs are pointing towards the Master, and unless Moffat is specifically trying to trick the audience the only question remains is which version it is. My bets are still on Simm's incarnation (can't forget the knocks even if they weren't the right number), but Missy is still fair game at this point too. Knock Knock was yet again usual fare for Doctor Who series 10 so far - a solid, enjoyable episode that's able to cover it's minor story issues with excellent characterisation. Unlike the others however this one also had a great guest actor in tow, and David Suchet certainly didn't feel wasted here. The consistency to the series so far has been admirable so far, but with all the episodes so far varying so little in terms of quality the wait for something truly outstanding is becoming all the more excruciating. Next week Doctor Who goes all Dead Space as he and Bill (along with Nardole at long last) go head to head with space zombies in Oxygen.